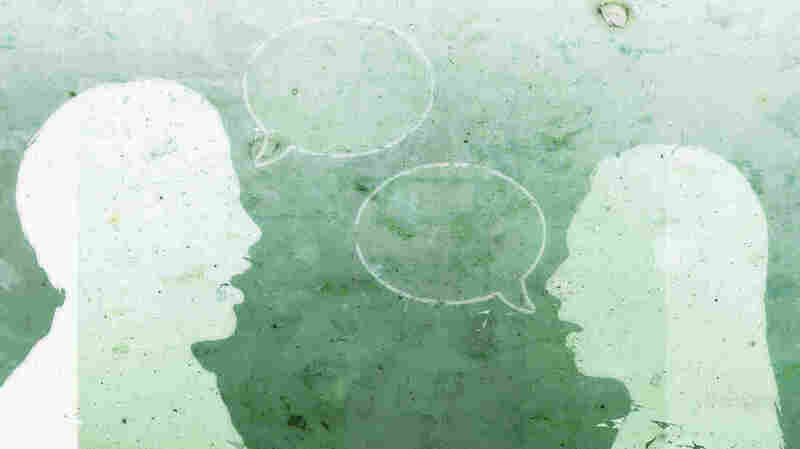 How To Talk Politics Without Letting Things Turn Ugly Whether it's shouting matches in Congress, feuds on social media, a testy exchange between co-workers or a heated argument among family members, civility increasingly feels like a relic of the past. Talking about controversial topics with your political opposite can feel like an exercise in futility. One tip, experts say, is to establish common ground as quickly as you can. Over the past two months, NPR has been traveling the country for our series Civility Wars to see how Americans are grappling with the idea of civility in polarizing times. During that time, we heard from the new mayor of Charlottesville, Va., on why she's wary of the very idea of civility; we reported on a gathering of political opposites trying to bridge the political divide; and we talked to two Twitter trolls who admit that their online feuds might be friendlier if they could just meet in person. Often, we heard the same thing: Talking across difference is hard. As part of the series, we also reached out to four people who've spent a lot of time thinking about how to have more respectful political conversations. Here's what they told us. The first tip from our experts is to carefully choose the moment to talk. You can't force someone into a conversation about a contentious topic, says the Rev. Jennifer Bailey, the founder and executive director of Faith Matters Network, an organization that trains leaders and activists on how to create connected communities. Rather than "demanding a conversation," Bailey recommends "extending an invitation." It's also important to avoid making snap judgments about people or writing them off based on their own background or your own assumptions. Bailey encourages people to "be brave" and assume others have good intentions. Another tip is to stay humble, says Karin Tamerius, a former psychiatrist and founder of Smart Politics, a nonprofit that teaches progressives activists how to communicate more effectively with people across the political spectrum. "While you may be well educated on a topic, you don't necessarily have all the answers." Lastly, avoid approaching your conversation from a zero-sum standpoint, says Arthur Brooks, president of the American Enterprise Institute, a conservative think tank, and author of Love Your Enemies: How Decent People Can Save America From the Culture of Contempt. As Brooks suggests, don't view the conversation as an "I win, you lose" debate. Rather, consider it an opportunity to understand the other person and the reasons behind that person's position, adds Bailey. Establish common ground as quickly as you can, our experts advise. "It's usually around things like values and goals and emotion" that we can find commonalities, says Tamerius. You can also discuss things you both love, like family or the outdoors. This will build trust and allow you to start connecting. The experts also agree that asking questions is the most important part of the conversation. Tamerius recommends using open-ended and nonjudgmental questions. For example, instead of saying, "How can you possibly overlook all the evidence on climate change?" you might ask, "What experiences have shaped your thinking on this issue?" Also, don't let unwittingly offensive remarks short-circuit the conversation. "Don't dismiss people just because they use a word or two that seems insensitive to you," says Liz Joyner, the founder and CEO of the Village Square, a nonpartisan public educational forum. "You need to be understanding of the intention behind the word," says Joyner. Consider who's speaking and their life experience. "Give people the space to explain themselves." Don't attack someone's personal beliefs either, because as Tamerius explains, we have strong emotional attachments to them. "We're wired to defend them," Tamerius says. "Our nervous systems treat attacks on our political beliefs the same way they respond to challenges to our physical safety. So if someone attacks my partisan attachments, I'm going to respond pretty much the same [way] I would respond if I were being attacked by a lion." When it's your turn to speak, it helps to explain how the issue affects you on a personal level. "Facts and figures rarely persuade," says Joyner. Instead, she recommends "appealing to [others'] better angels rather than their inner statistician." If things aren't going well, our experts all caution against pushing the conversation too far. Tamerius says you should monitor the emotional response of your partner as well as your own to avoid a full-blown fight. "Be prepared to remove [yourselves] from the conversation before [you] reach a point where you're fully triggered," she says. If the conversation is getting heated, try pausing things, and don't return to it until you are both ready. And if neither of you has changed your views by the end of the conversation, that's fine, says Joyner. Remember, she says, "your goal isn't to agree; it's to disagree and keep talking."